I’m going to be really busy trying to work my way through this list. 23 DIY Upgrades Any Man Can Make To Look Better. Shaving soap will give you a closer shave with less nicks and cuts than commercial shaving cream. Find the recipe here. This gentle yet deep cleaning soap has a masculine fragrance. Find the full tutorial here. Download the pattern here for $6. Artist Nicholas Ruiz has created bow ties out of Lego blocks, guitar picks, and empty soda cans. This will make any tie instantly unique. Find the tutorial here. Find the quick and inexpensive how-to here. It will keep your shoes in tip-top shape when you’re not wearing them. Find out howhere. Repurpose old watch parts into a stylish accessory. Find out how here. Click here for the full tutorial. To find out how to make these – as well cufflinks made out of golf balls and fishing bobbers – click here. 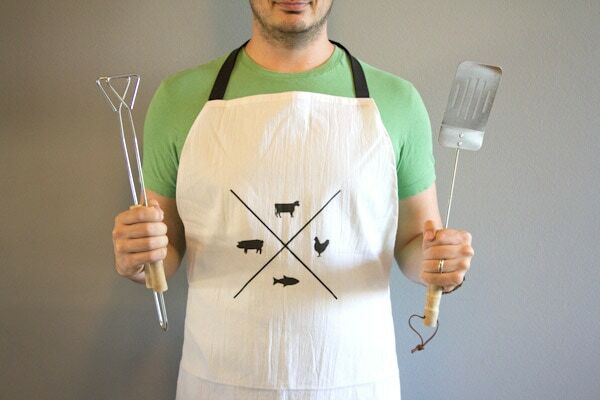 This is perfect for any carnivore who loves to grill meat. Find the how-to here. For both boys and men. Find the how-to here. Ideal for that awesome but poorly sized shirt. Especially useful if you buy a lot of your clothes from the thrift store. Click here for the easy tutorial.